As one Source of Narcissistic Supply dwindles, the narcissist finds himself trapped in a frantic (though, at times, unconscious) effort to secure alternatives. As one Pathological Narcissistic Space (the narcissist's stomping grounds) is rendered "uninhabitable" (too many people "see through" the narcissist's manipulation and machinations) – the narcissist wanders off to find another. These hysterical endeavours sometimes lead to boom-bust cycles which involve, in the first stage, the formation of a Grandiosity Bubble. A Grandiosity Bubble is an imagined, self-aggrandising, narrative involving the narcissist and elements from his real life – people around him, places he frequents, or conversations he is having. The narcissist weaves a story incorporating these facts, inflating them in the process and endowing them with bogus internal meaning and consistency. In other words: he confabulates – but, this time, his confabulation is loosely based on reality. 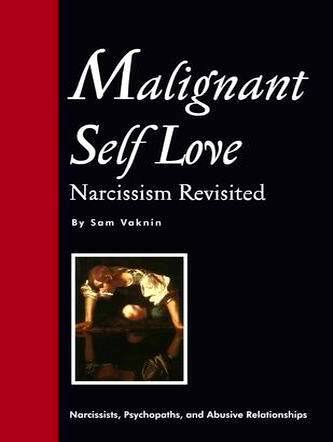 In the process, the narcissist re-invents himself and his life to fit the new-fangled tale. He re-casts himself in newly adopted roles. He suddenly fancies himself an actor, a guru, a political activist, an entrepreneur, or an irresistible hunk. He modifies his behaviour to conform to these new functions. He gradually morphs into the fabricated character and "becomes" the fictitious protagonist he has created. All the mechanisms of pathological narcissism are at work during the bubble phase. The narcissist idealises the situation, the other "actors", and the environment. He tries to control and manipulate his milieu into buttressing his false notions and perceptions. Faced with an inevitable Grandiosity Gap, he becomes disillusioned and bitter and devalues and discards the people, places, and circumstances involved in the bubble. Still, Grandiosity Bubbles are not part of the normal narcissistic mini-cycle (see the resources in the section titled "Also Read" below). They are rare events, much like trying on a new outfit for size and comfort. They fizzle out rapidly and the narcissist reverts to his regular pattern: idealising new Sources of Supply, devaluing and discarding them, pursuing the next victims to be drained. Actually, the deflation of a grandiosity bubble is met with relief by the narcissist. It does not involve a narcissistic injury. The narcissist views the bubble as merely an experiment at being someone else for a while. It is a safety valve, allowing the narcissist to effectively cope with negative emotions and frustration. Thus cleansed, the narcissist can go back to doing what he does best – projecting a False Self and garnering attention from others.